Frances Annette Register, 87, of Fort Walton Beach, Florida, passed away peacefully in her sleep on Saturday, November 17, 2018. Annette was born to Ernest Ambors Rowan, and Frances Perlina Monroe Rowan, April 05, 1931 in Jacksonville Beach, FL. Annette graduated from Duncan Fletcher High School in Jacksonville Beach in 1948. She earned a Registered Nursing degree from Greenville General Hospital's School of Nursing in 1951, a Bachelor of Science degree from the Texas Woman's University in 1954, and a Master's of Education degree, from the University Florida in 1959. She married Henry Register in 1954 and the newly married couple moved to Fort Walton Beach. The following year they temporarily moved to Gainesville where Annette worked as an RN at Alachua General Hospital while she was earning her Master's degree. Upon returning to Fort Walton, Annette worked as an elementary school teacher. 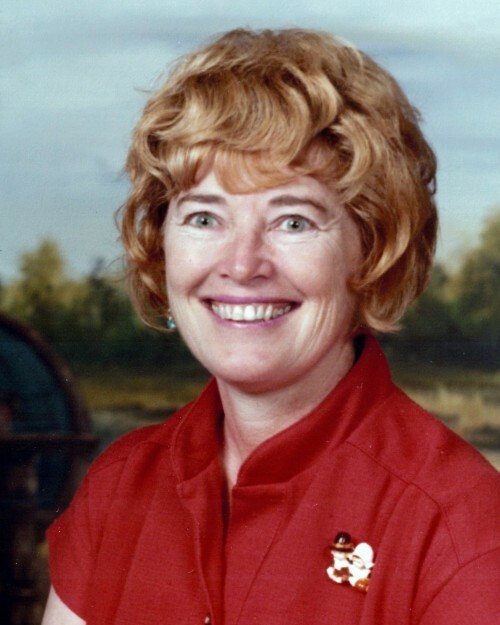 She taught reading at Elliott Point, Shalimar, and Eglin. She also helped lead a variety of organizations in Fort Walton. She was the President of the Okaloosa Reading Council from 1976 to 1980, President of the United Methodist Women of Fort Walton from 1985 to 1987, a member of the Okaloosa Walton Community College Symphony Guild, and an Ambassador for the Florida Chamber of Commerce. Annette and Henry were also members of the Flying Squares square dancing club. She was also a member of the Fort Walton Yacht Club and loved to sit on the point, enjoy the gentle breezes, and watch the boats sail by. Annette was preceded in death by her brother Joseph who lost his life in the Korean War and husband Henry. She is survived by her son Andy, his wife Mickey, and 3 grandchildren. The Register family would like to extend our gratitude to all the staff at Brookdale Bluewater Bay for their attentiveness and loving care. A funeral service will be planed for a later date. In lieu of flowers, donations may be made to the Mattie Kelly Fine & Performing Arts Center.